"There are beasts of the sea immune to any venom, and I am as well, if I choose." 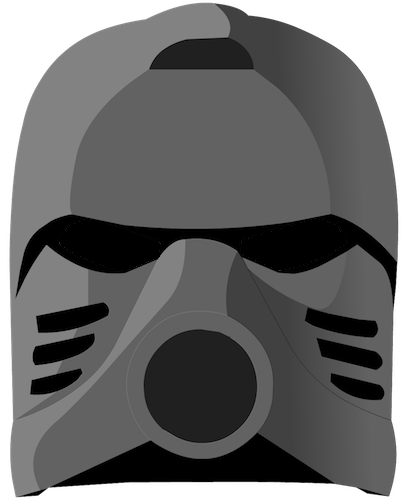 The Kanohi Faxon is the Mask of Kindred. The Great version allows its user to mimic the powers of Rahi that share their general environment--for example, land Rahi. [Deep Sea Port][BEU, p. 32] The Noble version would let its user only copy the powers of Rahi that share their specific environment--for example, desert Rahi. Hahli used her Great Kanohi Faxon to replicate a sea creature's hypnotic ability in order to lull a Giant Squid to sleep in Prisoners of the Pit. Hahli's Great Kanohi Faxon, altered by the Kanohi Ignika. This page was last edited on 4 August 2018, at 18:02.